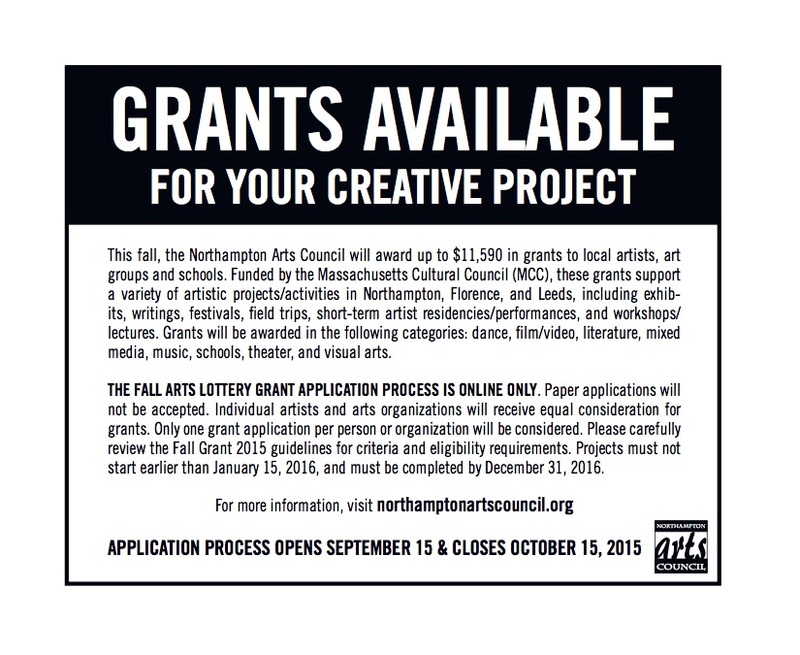 According to Council spokesperson Brian Foote, these grants can support a variety of artistic projects and activities in Northampton, Florence, and Leeds, including exhibits, writings, festivals, field trips, short-term artist residencies or performances in schools, workshops and lectures. The Northampton Arts Council will hold open office hours at their location at 240 Main Street, Memorial Hall Room #1 Northampton, MA 01060 on Wednesday October 7th from 4:30 PM – 6:30PM for any potential applicants looking for advice on the application process. In addition to administering the LCC program, we were the first cultural council in the Commonwealth to raise money for a second round of funding every spring, with only a few other LCCs recently following our lead. The ArtsEZ Spring Grant round is made possible by two major fundraising events produced by the Northampton Arts Council: Transperformance, an end-of-summer concert at Look Park held every August, and the Four Sundays in February series which includes events such as the Silver Chord Bowl and the Really Big Show. In addition to grant programs, the Northampton Arts Council offers arts enrichment programs in the public schools, initiates public art projects and advocates for the arts in the city. 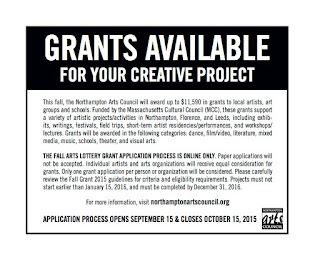 For more information please visit our website: http://northamptonartscouncil.org.